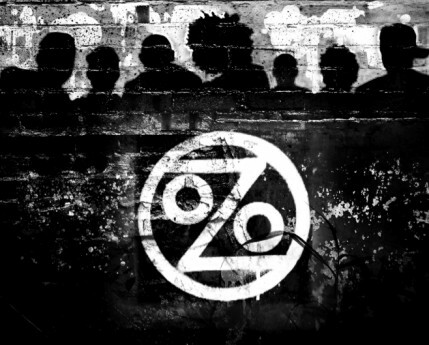 Ozomatli is a band native to Los Angeles, and the music they make is the sound and soul of the city: reggae, funk, jazz, salsa, hip-hop, rock, cumbia and the blues. The group’s musical everything-but-the-kitchen-sink arsenal is impressive: guitars, saxophone, bass, tabla, cajon, a trumpet and a marimbula. Established in 1995, Ozomatli continues to travel the world, delivering a message of activism, unity and celebration. The group became widely known for being outspoken about social justice and progressive politics. Ozomatli performed at the 2000 Democratic National Convention in front of thousands of protesters. They went on to release their sophomore record (Embrace the Chaos) on Sept. 11, 2001 and toured shortly after when most bands cancelled or postponed show dates. 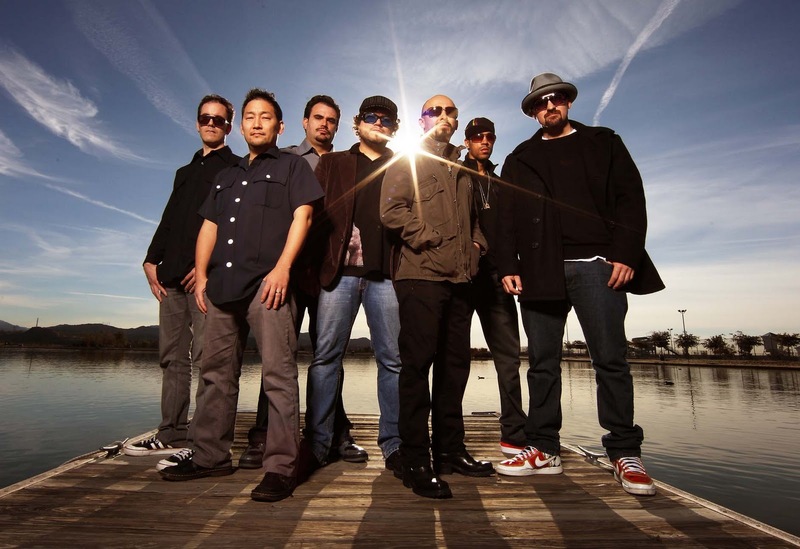 Over the years Ozomatli has gained widespread recognition for its political and diverse music stylings, winning three Grammy Awards along the way. CityBeat recently spoke with percussionist for the band, Jiro Yamaguchi. Ozomatli recently performed its family-friendly “Ozokids” show last month at The Galaxy Theatre in Santa Ana. A children’s album is in the works for release later this year. What inspired the band’s name? Originally, we had another name. We weren’t feeling that name, so our original drummer Anton suggested “Ozomatli.” It was actually his birth sign. When we researched the name, we loved what it meant. 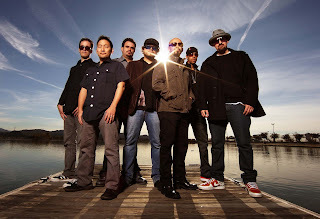 Ozomatli is the god of dance and music. He’s also a trickster, so it was a perfect fit. Does the band’s strong political messages ever lead to difficulties? Right after 9/11 we got into a little trouble because we were against the hate. People asked us why we were touring a few weeks after 9/11 when we played in New York City, but we had so many New Yorkers thanks us for coming out and performing. A lot of hate mail was sent to the New York Post because we were against the war. As time went on, more Americans feel how we felt back then, so it’s different now. What was it like playing for President Obama? It was cool. There was a lot of security and Secret Service people, but when we met him, he was down to Earth, very cool. Under the Bush administration, we were asked to be cultural ambassadors to other countries. It was a hard decision to make, but we decided it was better to go out in the world and mingle with people and represent the U.S. and ourselves in a good light. From what I understand, your band has performed for people all across the globe, including China, South America and Mongolia. What was that like? We were able to help break down stereotypes on both sides and meet some people all around the world, including Palestine, China, Myanmar . . . We spoke to people who lived in the ghettos of Argentina and New Delhi. No matter where you go, though, people are people wherever you go. That’s a universal theme. We’ve met musicians all over, and I’ve been inspired by all of the people we’ve met around the world. It doesn’t matter where they come from, I’ve noticed that all children respond the same way to our music, no matter where they come from. What was the inspiration for a children's album? We’re recording the album right now. We’ve already done some “Ozokids” tours in San Francisco and Los Angeles. We toured in San Francisco [and] we had a lot of parents thank us for having a show they could bring their shows to, which was encouraging. Children have always been a big part of our audience. We’ve played for kids all around the world, but now we intend to write lyrics for children with this album. Our music is very interactive. We include the audience in our performance. Our approach is that everyone is part of the experience. The audience is part of the show.